There's nothing like a splash of colour to chase away the splash of raindrops. Everyone knows that where sun and rain meet, you'll find a rainbow. Gross over-simplifications aside, this bucket hat is sun safe, water resistant, and brightens your day with a band of vivid colour. And whatever it lacks in terms of ethereal beauty, it more than makes up in durability and practicality. UPF 50+ rated, the Burke is made from a crush resistant water repellent soft finish microfibre. 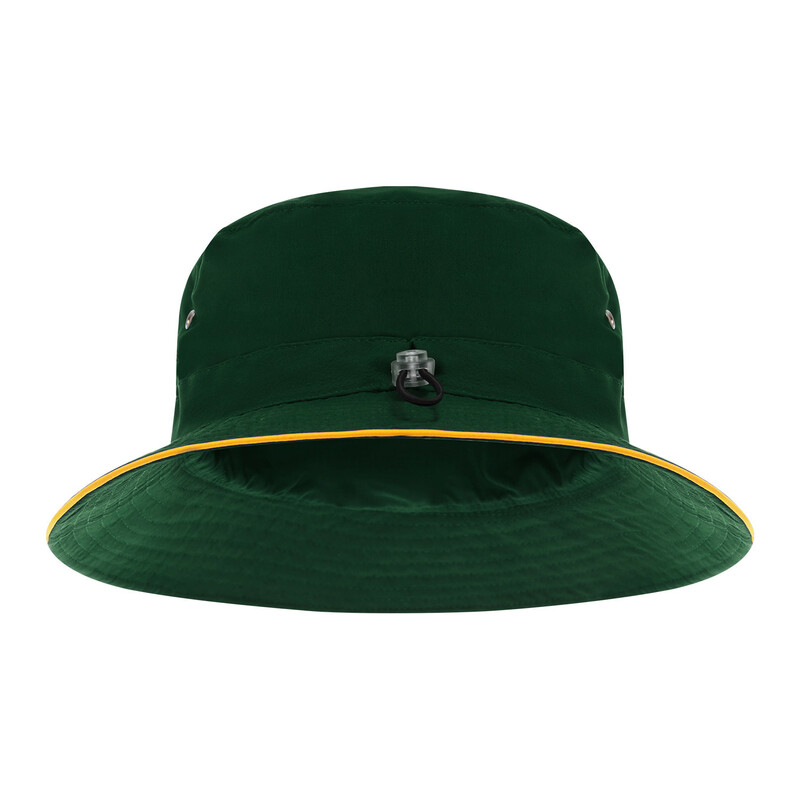 In addition to the metal air flow eyelets, collapsibility and adjustable crown cord of its otherwise identical sibling, this bucket hat adds a hit of colour with a contrast trim encircling the brim.